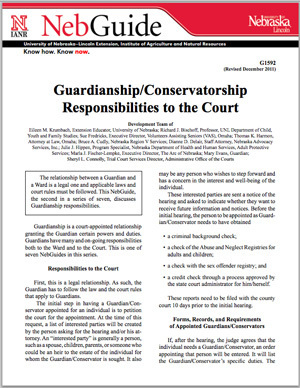 The relationship between a Guardian and a Ward is a legal one and applicable laws and court rules must be followed. This is one of seven NebGuides in this series. Also see the UNL Guardianship Web site.